On this episode Ben, Zac and Dominic are back to talk more Harry Potter, this time delving into the second chapter in the magical franchise, The Chamber Of Secrets. They break down the continuing story of Harry, Ron, Hermione and the rest of Hogwarts' inhabitants, including new characters such as Dobby, Gilderoy Lockhart and Lucious Malfoy. Furthermore, they debate their likes and gripes with the film and attempt to rank it among the others. They also take some time to address the loss of actor Richard Harris and his final performance as Albus Dumbledore. 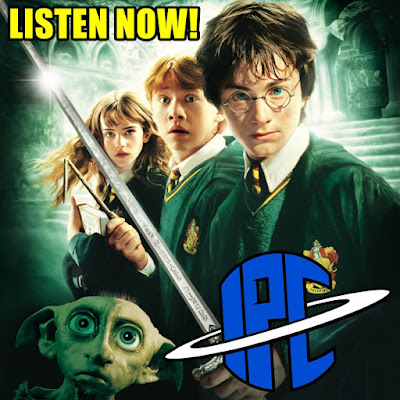 Also listen for the Quote Of The Night, some Spongebob themed shenanigans, more Harry Potter meme talk, and a whole lot more.